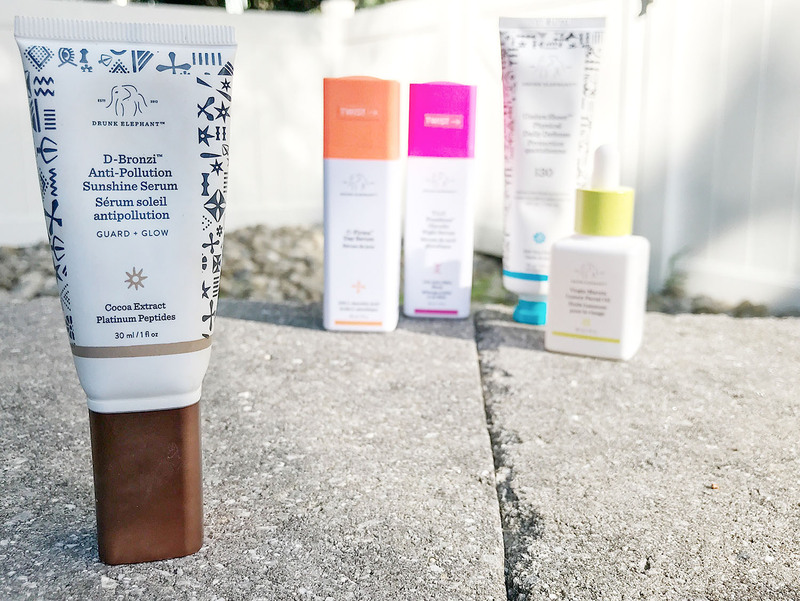 Last week in my June favorites, I briefly introduced/mentioned the new Drunk Elephant D-Bronzi serum and how I couldn’t wait to talk more about it soon. This is a brand new product released by the new-to-the-scene, clean skin care brand, Drunk Elephant. In a nutshell, it’s a bronze-tinted Vitamin D antioxidant serum that protects the skin from environmental stressors to inhibit the aging process… and I’m OBSESSED. Let me tell you a little more about why you need to try this in my Drunk Elephant D-Bronzi review. 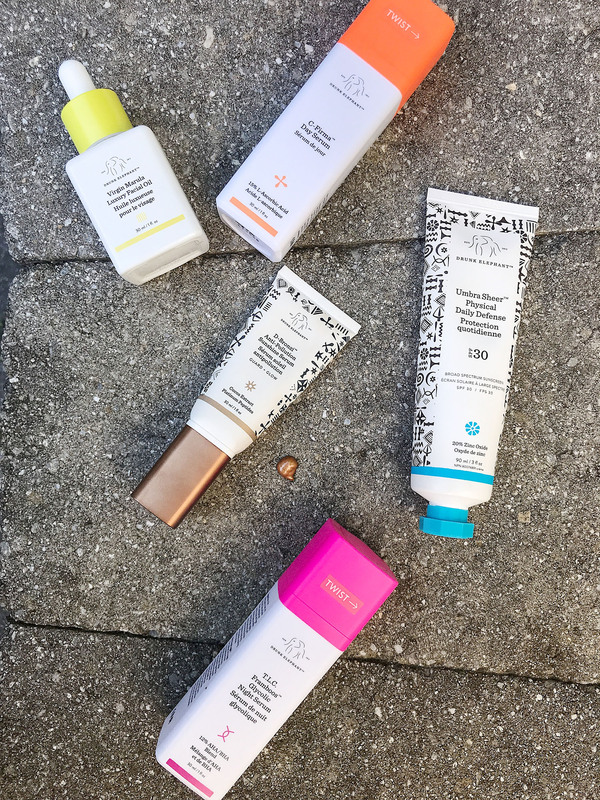 For those who aren’t super into skin care or know much about brands carried at higher end retailers, Drunk Elephant was founded by Tiffany Masterson from Houston, TX around 2009. Once Tiffany became a mom – like many women – she became fascinated with researching ingredients that could potentially harm or irritate both her and her children’s skin. She researched formulations with dermatologists, estheticians and just regular consumers to curate a list of a few active ingredients that worked – but shouldn’t cause any irritation whatsoever. Tiffany likes to refer to the brand as ‘clean clinical’ because although the brand is not 100% organic, the ingredients used in the products aren’t miles long and are proven, high quality formulas without the use of the “Suspicious 6” toxic ingredients found in many other brands. Currently, the brand has a little over 20 products in the skin care line from cleansers, targeted serums, moisturizers and lip and eye treatments. All of the products are 100% fragrance, essential oil, irritant and silicone-free. Tiffany created D-Bronzi ($36) because she rarely lets herself get time in the sun (hello, damage and aging) but wanted to give her face a little color without the use of foundation/base products. Ever the multi-tasking mom, she formulated D-Bronzi to not just provide a natural, bronze glow, but packed it with the benefits of Vitamin D (helps grow new cells; repairs), Vitamin F (fatty acid; helps skin regenerate), and other anti-oxidant ingredients to protect the skin from pollution and environmental stressors that can cause aging. As soon as I got D-Bronzi, I knew it would be a favorite of mine because I never self tan my face (petrified of breaking out) and I’ve used a high SPF on my face for years (SPF 30 or 50 24/7). I also am an avid user of chemical exfoliants on my face, which turns my cells over so quickly that my face is just always so much lighter than my body… which is so annoying to have to match my face to my body. Although I combat this issue using darker foundations, it’s always nice to not have to use as much foundation on the face – BONUS points for good ingredients. I’ve tried using D-Bronzi in all of the ways, but my favorite is to use it over my daily SPF/moisturizer for the fullest bronze glow on my medium/tan/olive skin. You can customize how much bronze glow you want by using a smaller amount, or using a full pump. I personally use a full pump for max glow (see below what max glow looks like subtly blended out). 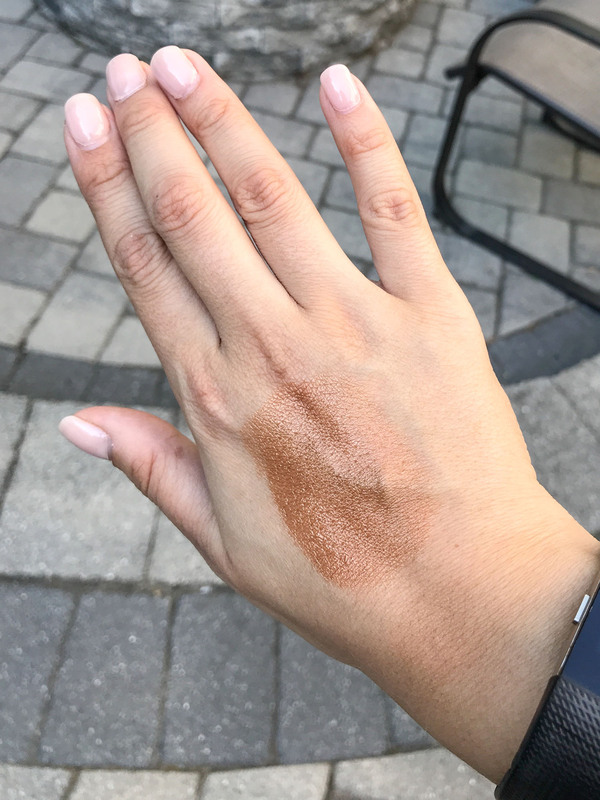 ONE NOTE: If you’re my skin tone (equivalent of a MAC NC37-NC42), I’m not sure you’d see so much of the bronzing effects once you go deeper than the MAC NC42 range, so I recommend swatching this in Sephora if you’re on the fence. You can use foundations over this product with no problems and it just gives a natural sun-kissed, tan glow. Or, just wear it on its own – perfection for beach/pool days! Overall, I give D-Bronzi two huge thumbs up and I haven’t been able to put it down for a month straight and will definitely repurchase – especially during these summer sunny months (although it’s probably even nicer in the fall/winter when you need a little sunshine in your life). 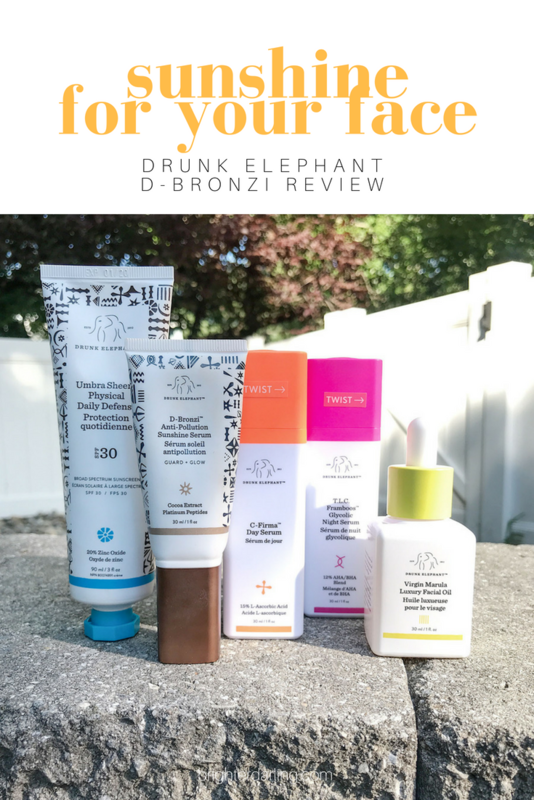 Find Drunk Elephant D-Bronzi at your local Sephora, or online on drunkelephant.com. "15 Nordstrom Anniversary Sale 2018 Must Haves"